She’s a proud mother who dotes on her three children. 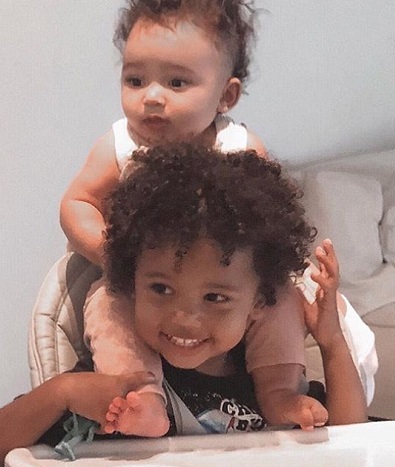 And Kim Kardashian proved on trend as she posted an adorable picture of her two-year-old son Saint and seven-month-old daughter Chicago on Sunday. 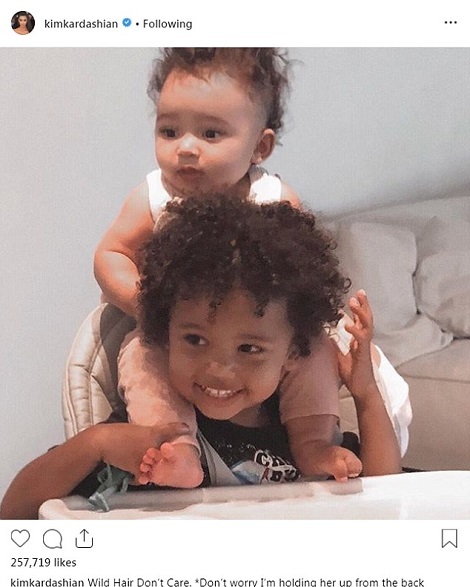 The reality star and makeup mogul, 37, shared the photograph of Saint in a high-chair with his sister sitting on his shoulders.